I started off with 2 coats of Korres Watermelon (fully swatched here) on all fingers except accent fingers where I used 2 coats of China Glaze Empowerment. 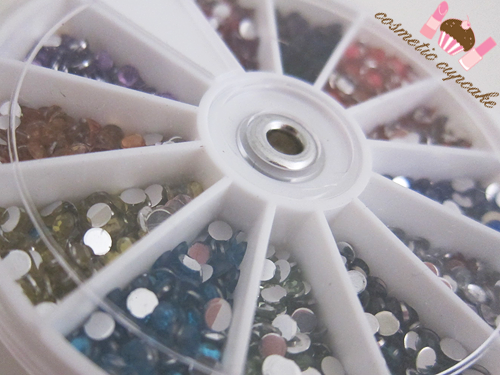 The rhinestones are quite large - about 3mm in diameter - and come in an assortment of colours which is great. 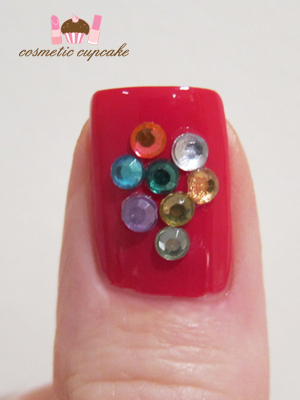 I placed a few of the rhinestones in different colours onto the middle of my thumbs using a wooden orange stick and clear polish. 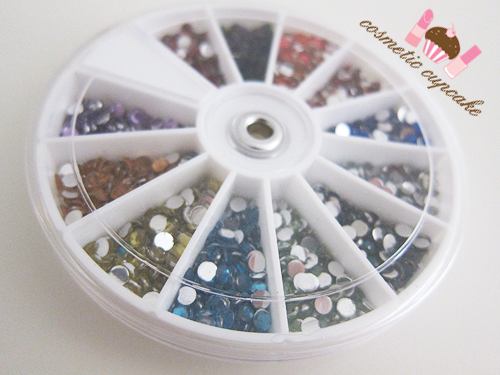 I have many rhinestones in different sizes but none this large so I'm very happy to add this wheel to my nail art collection. 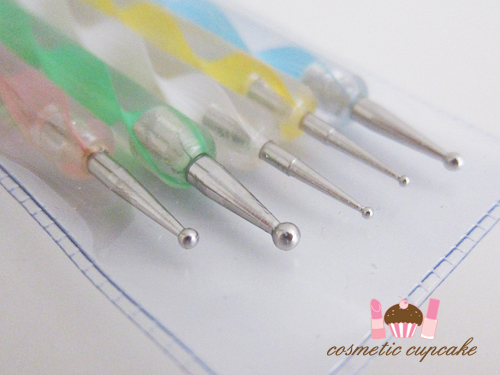 The dotting tools are double ended and each is a different size. These are very easy to use to create polka dot nails which I love! The smaller sized ones are quite similar though and I would have liked to see more larger sizes. 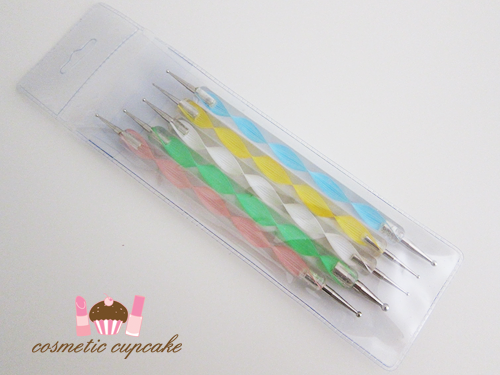 They are easy to use and great for beginner nail art! For the dots for this manicure, I used the blue tool which creates medium sized dots. 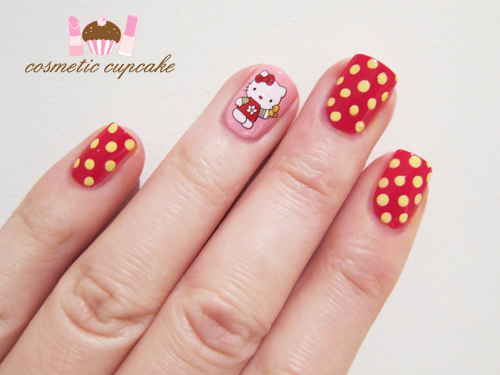 I used the Hello Kitty decals for this manicure and they are so so cute! They adhered easily and smoothly to the nail. 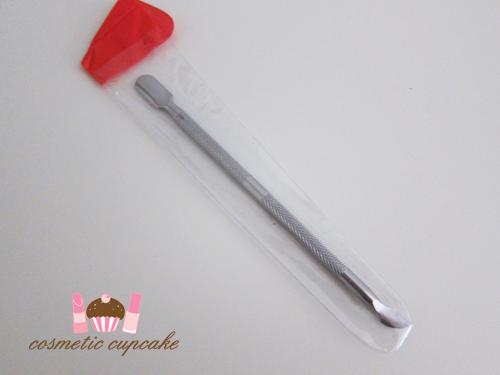 I also chose a stainless steel cuticle pusher remover to try out. Unfortunately this didn't work too well for me as I don't think it was curved enough to allow me to push back my cuticles properly. I'm used to using orange sticks to remove my cuticles and I find they work better. Would I repurchase from Born Pretty again? : YES! I've purchased from them before and will do so again in the future. They have an absolutely fantastic selection of products (tooo many for this indecisive girl actually!) and I especially love the fact they have such a large range of nail art products. 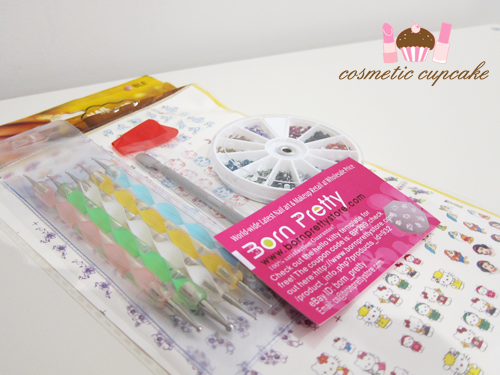 You all know my love of nail art and to be able to buy so many different items from the same site is great. The products arrive promptly and well packaged. You can check out the great selection of products yourself at the Born Pretty Store online store. A big thank you to Kevin for sending me the above products to sample! I was sent the above products for my consideration but this in no way influenced my review in any way. As always, my reviews are my 100% honest opinion. I love your kitty nails! Never thought such big stickers would look so cool! so cute! 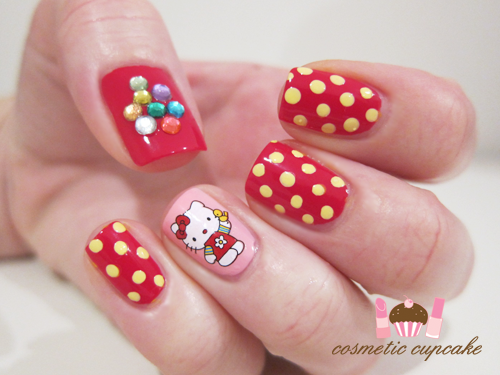 I love the Hello Kitty's! OH MY GOD I AM D Y I N G!!!! I'm SO inspired by this, must do it ASAP. 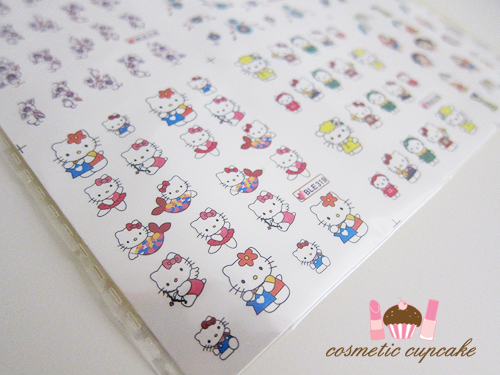 I love these hello kitty decals. i want them now, so bad! The mani is absolutely adorable. I just ordered pretty much the same things & this just makes me that much more excited to receive these things . 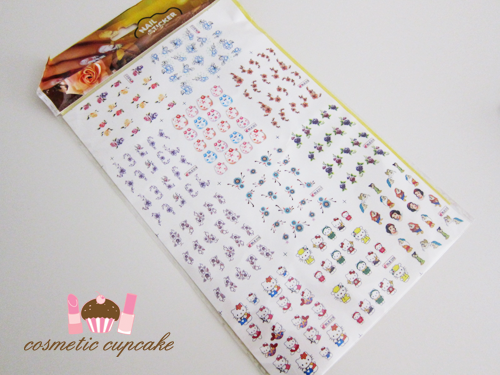 I need the Hello Kitty decals,they are so cute! 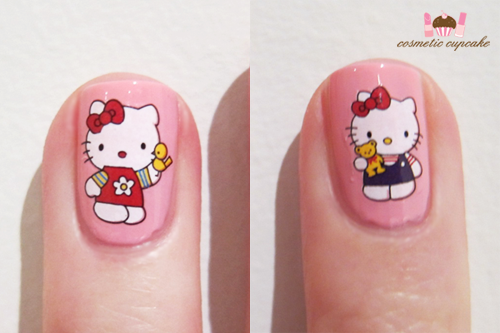 I literally just did a Hello Kitty manicure too! So cute... I love water decals. Michelle, you are SO creative!! I have some of those exact Hello Kitty stickers and could never figure out how to make a nice manicure out of them and here you are with a perfectly great one! You're so very inspiring! I stay here as a new follower!